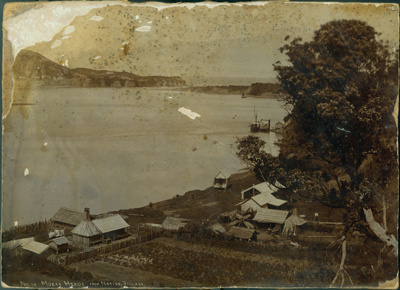 Image of Mokau. Shows Mokau River in middle-ground, and small houses in the foreground. "No. 18 Mokau Heads from Native Village" is written in bottom left corner. Image from illustrated magazine dating September 1901.